As the planet gets warmer and warmer, the frequency of uncontrollable, devastating fires is on the rise. Fueled by weather, wind, and dry underbrush, hundreds of thousands of wildfires burn millions of hectares of land every year. In October of last year, an almost unprecedented drought in combination with winds from Hurricane Ophelia brought a series of more than 7,900 wildfires onto the Iberian Peninsula. With plumes of ash visible from outer space, these destructive fires destroyed over 54,000 hectares of land. The reaches of the wildfires even extended over 3,800 km to Tallinn, Estonia, where the soot and ash turned the rainfall black. Yet, despite these phenomenons, many are unaware of the intimate relationship that exists between decimating wildfires like these and wider climate patterns. Fortunately, recent developments in forecasting data are making this connection increasingly evident. Last year, we used the Planet OS API and NASA soil moisture data to visualize the drought conditions on the Iberian Peninsula in the midst of the October 2017 Iberian wildfires. With the newly-added ECMWF Fire Danger Forecast Reanalysis, we can take a closer look at the effects that fuel, moisture, and wind have had on fire ignition probabilities in Spain and Portugal. These factors are measured by the Fire Weather Index, a numeric rating of fire intensity dependent on weather conditions. Containing both a component of fuel availability and a measure of ease of spread, the Fire Weather Index serves as a strong indicator of fire danger. The scale, as seen below, starts a low fire intensity rating of 0.0 and ranges to an extreme rating of 33 (and above). Using Planet OS, we projected the Fire Weather Index onto the Iberian Peninsula from the beginning of June to the end of October 2017 to gauge the fire danger for that year. If you take a look at the animation below, it’s evident that at least half of the Iberian peninsula was rated Extreme on the index for most of summer. High temperatures and drought facilitated the perfect conditions for an environmental disaster. Thus, with only a spark, hundreds of fires were able to spread across the peninsula. But the index alone does not tell the whole story. At the start of wildfires on October 13th, 2017 the index appeared to reach its limit at a rating of 50. Yet, two days later, the Fire Weather Index had broken 90 in many of those same locations. The critical factor in this dramatic change was the extraordinarily strong winds from the coast. 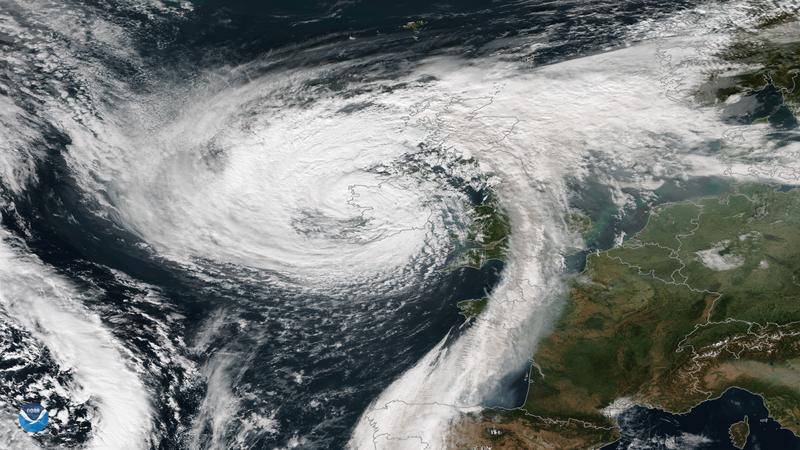 On October 15th, Hurricane Ophelia passed over Portugal’s coast and fanned the wildfires in both Portugal and Spain. But, once the rains fell on October 18th, the Fire Weather Index also fell precipitously and the fires were largely extinguished. The October 2017 Iberian wildfires nearly exhausted the firefighting resources of Portugal and Spain. Unfortunately, this summer and upcoming fall may not bring much relief. The peninsula has already faced some of the hottest temperatures on record so far this summer. This information suggests it might be time to prepare for an even more severe wildfire season. We will continue to monitor the Iberian Peninsula, looking at factors like wind speeds and ocean currents to expand the understanding of their impact on forest fires and other natural disasters. As the frequency of droughts and hurricanes increase across the globe due to climate change, the chances of devastating fires like the ones seen in October of last year will rise as well. 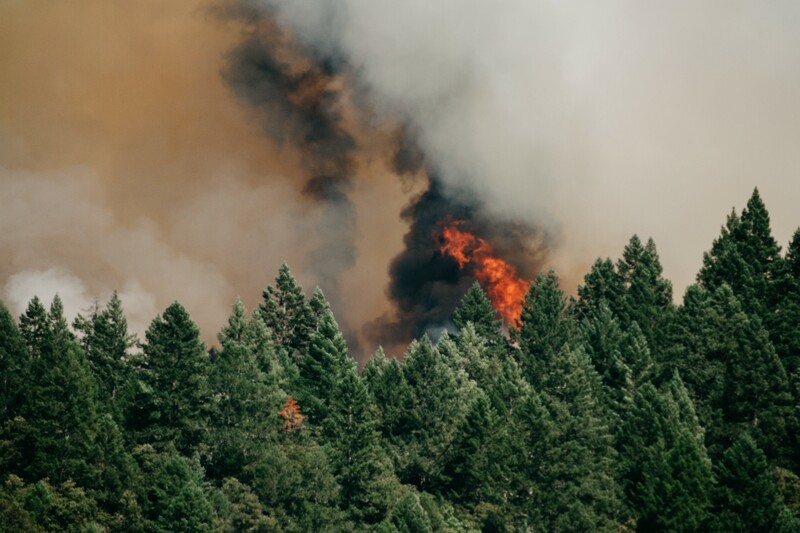 With a stronger understanding of the drivers behind wildfires, the public and their governments can take proactive measures to reduce the damage done by these ferocious natural disasters. Fortunately, with Planet OS, researchers, activists, and informed citizens alike can help build data-driven solutions.